The centerpiece of WRJ’s social justice work is our advocacy for the advancement of women in all arenas: in the rabbinate and synagogue life, in the workplace, and in society at large. We fought and will continue to fight to end violence against women and wage discrimination, and to ensure that all women have access to full reproductive rights. Our founding mothers were suffragists before they had the right to vote; we lobbied for the Equal Rights Amendment; and we have marched and mobilized for reproductive rights and women’s health. In the coming years, WRJ will fight against the erosion of these hard-won rights and will continue to be at the forefront of expanding opportunities for women. 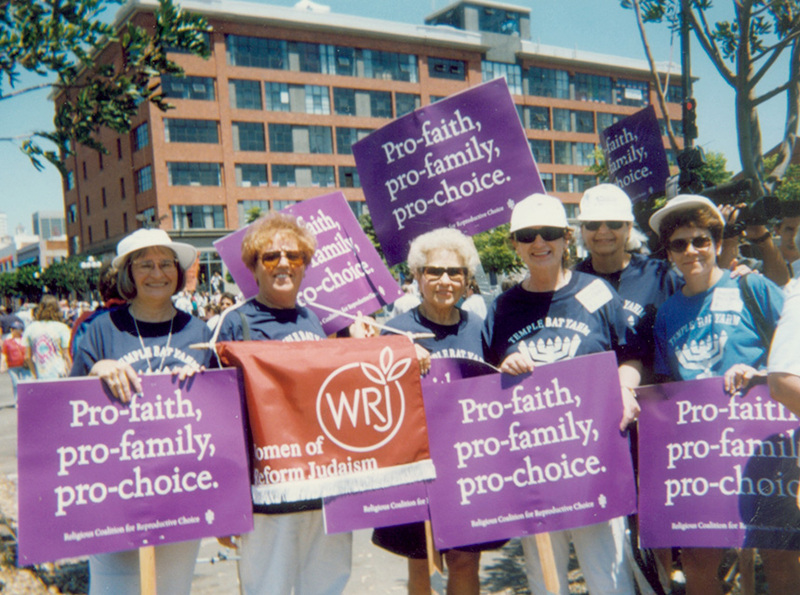 For over 100 years, WRJ has taken positions on social justice issues, from women's suffrage and anti-lynching laws to pay equity and LGBTQ equality. Browse our social justice activity by year to see how we have changed with the times, always in the pursuit of justice.